If you’re new here, hi…again! *awkward laugh* I’m Lauren and if you’ve been here before…hi again! Now, move along… we have newbies! I wasn’t always a fan of makeup brushes. Through my teens, dream matte mousse applied with my fingertips was what i considered a flawless base and i still cringe at the thought of my patchy, dry skin. Truthfully, i knew absolutely nothing about makeup brushes and i didn’t realize that by using them you can create better makeup looks and they also allow your makeup to go on a lot smoother. 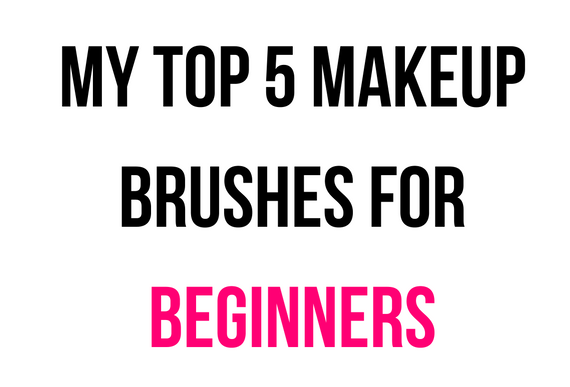 I am going to list the 5 beginner makeup brushes i feel like everyone should own. I am also going to leave a few extra brushes and ideas right at the end of this article so just keep on scrolling! You probably already know a little bit about real techniques, every shop i seem to walk in they are lurking around the makeup aisle. This brush is a face brush meaning it’s specifically for liquid and cream foundations. The brush gives you a flawless, natural finish that can be achieved by just buffing in the product on to your skin. I really love real techniques and as this is a singular brush it isn’t over the top expensive, it’s actually really fairly priced. If you are looking for something simple, cheap and easy to apply your foundation with i really recommend a brush like this one as it will give you a natural finish and it won’t absorb your foundation as a lot of makeup brushes and sponges do! This brush is perfect for beginners and one i wish i had known about years ago. It’s a powder brush which means you use it to apply your powder to set and blend everything you have applied to your face, which keeps your makeup in place and keeps your skin looking matte all day long. It’s also a really affordable brush and a staple to so many peoples makeup collections. This blush brush is has a special ‘tapered cut to blend like a pro’. This means that the actual brush is shaped oddly to really get in to the contours of your cheeks and blend the product flawlessly. As you can you tell, i really love and believe in real techniques. I don’t often wear blush but i do use a lot of bronzer and i use this brush to apply it. It applies it beautifully and it is so easy to blend out if you apply a little too much or want to get in to the crevices of your face. These eye shadow brushes are a bargain and excellent quality. However, this wasn’t the only reason i included them! The reason was you can create a ton of different looks with these brushes without even trying and without really any experience. With these brushes you can: Shade, Smudge, Blend and Define all with two brushes. It just gives you the chance to save money on buying four different brushes and allows you to practice and create amazing looks with two eco tools brushes. I had to include a concealer brush in my beginner makeup brush guide because concealer is an absolute must for me. You can of course blend concealer with your fingers but, blending it with a brush just makes it look a little bit more put together and can stop it from looking cakey. By using a concealer brush you will also find you achieve a better coverage from your concealer so, if you do want to vamp up your makeup game it is worth a thought! Trust me i know that it is a lot easier to just buy stuff in bulk, especially makeup related items. The great thing about makeup brushes is that they usually come in a set and you can end up saving money from buying these sets. I have just included a few below that i thought might help someone make up their mind! I have a whole review on this kit that you can check out here if you are interested in finding out a little bit more. I do really love these brushes and they are so well priced online compared to what i paid in store. It comes with all of the ‘core’ brushes you need to get started and you really don’t have to worry about the quality because with over 2000 reviews on amazon, trust me when i say they are loved! 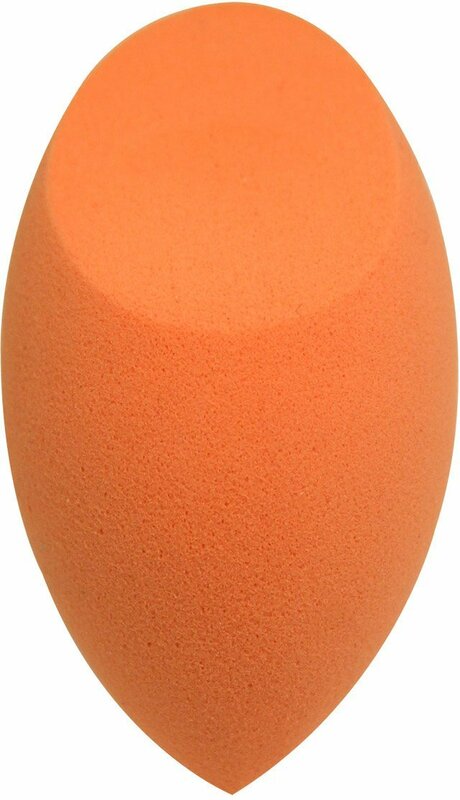 If you want something that conceals, blends and contours then a beauty blender may be for you. I didn’t really get on with the original beauty blender but the (surprise surprise) real techniques beauty blender is magical. I only use it when i’m looking for something to blend a heavy concealer but it is an all around ‘nice guy’. It really blends your makeup and gives you such flawless skin. I don’t think it’s amazing for people who like high coverage makeup but if you are just practicing and learning about makeup or even if you just want something easy that gives you an amazing natural base, it may be for you. Just make sure to always dampen the sponge before you use it, trust me!! Thank you so much for reading, if you have any questions or recommendations please let me know in the comments below! Would you recommend the original beauty blender or the real techniques one? I currently have the original, but it’s getting old so looking to purchase a new one! Any thoughts? Thank you! I’ve never tried the real techniques so I’m kind of excited to try it and see if there is a difference!